Party Season Is Officially Here! We’ve officially arrived at the winter holiday season, which means it’s also one of the busiest times of the year for parties and holiday-themed festivities! Whether you’re planning a party for your friends or your company, or preparing a December wedding or other big event, the day is drawing closer and we’re looking forward to hosting you at our reception hall in Northwest Indiana. If you have such an event coming up, you might be getting a little bit anxious about the preparation. 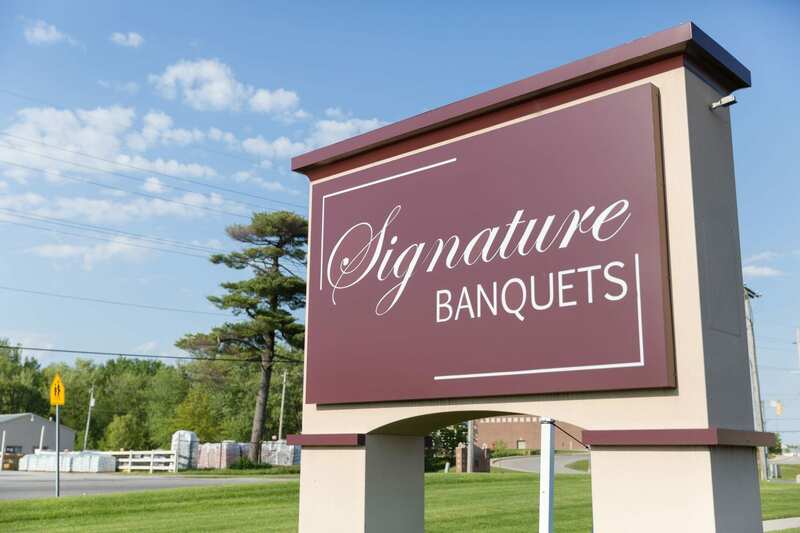 Fortunately, when you work with our team at Signature Banquets, we strive to keep you at ease as much as possible so you can enjoy your wedding, party or event and not have to get bogged down in the planning and the little details. Our goal is to help you have a fun, relaxing holiday season that you’ll fondly remember for years to come. If it’s a wedding you’re preparing for, you might be particularly stressed. But never fear! There are plenty of ways you can cut down on the amount of work you have to do and make everything go as smoothly as possible. Delegate as much as possible: It’s really helpful to have some trusted family and friends who can take on some tasks associated with your wedding planning and with your holiday plans so you don’t feel overwhelmed and that you have to do everything yourself. Chances are, you’ll find all you have to do is ask people to help you with your wedding and they’ll be more than happy to lend a helping hand. This is especially true of friends and family who have had their own weddings—they know just how much the generosity of friends and family helps to bring the whole day together, and are going to be more than willing to chip in to help you out. Combine your holiday and wedding planning: Are there any ways you can intertwine the holidays with your wedding? You might want your wedding to have the look and feel of the holiday season, so feel free to reuse holiday decorations, or to use your wedding décor during the holidays. This will prevent you from having to get a whole bunch of extra supplies and doing a lot of extra work to make different sets of centerpieces, floral arrangements and more. Stay organized: Keep separate lists of ideas and inspirations as well as to-do lists so you know exactly what needs to be done, when it needs to be done and who needs to be the one to do it. Try to work specific times into your day or your week that you can devote specifically to planning and organization. For more tips about throwing a big event or party during the holidays, contact our reception hall in Northwest Indiana!